Main principle of this report is to analysis Customer Satisfaction of Delivery Channels of Datch Bangla Bank Limited. Report focus to find out whether the modern technology based banking services has any positive effect on all walks of life. Here also discuss and analysis overall banking activities related on Customer Satisfaction. Finally draw SWOT analysis and suggest recommendation to improve Customer Satisfaction level. DBBL should be taken care of the maintenance of the ATM so that the clients can get their service according their demand. All banks especially private sector banks should follow the DBBL about the ATM network and other delivery channels to give the service to its clients. It is the prime demand of the client of the banks. I am an EMBA student of Department of Banking of ………University. I am in a research survey on the “Customer Satisfaction on the delivery channels of Dutch-Bangla Bank Limited.” as part of requirements of my academic degree. I would like to appreciate your cordial response to the following questions. 1 personally assures you that all your valued responses will be used only for the academic purposes and will be kept strictly confidential. Your kind assistance is highly expected to me. b) Thana: ……………………… c) District:……………………………………. 8. Do you banking with other bank? 9. Are you with the service of other bank? 10. How many channels of DBBL you are using? 11. Are you satisfy with the ATM service of DBBL? 12. Are you satisfy with the On-line banking service of DBBL? 13. 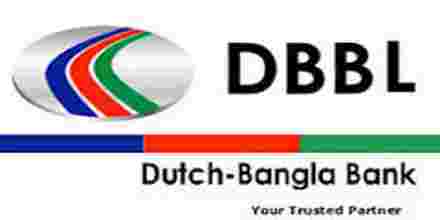 Are you satisfy with the SMS & Alert Banking service of DBBL? 14. If you wants to rank DBBL among other banks what is the position of DBBL? 15. How much satisfaction on the service of delivery channels of DBBL?